Buying AA batteries every time your Xbox controller needs them can get expensive especially over the long term. You can buy the official Xbox One play and charge kit which costs around $25 and only comes with one battery. Before you know it that one battery is getting used a lot and dies a lot quicker than if you had 2 batteries. That’s where the Smatree Xbox One Battery Pack 2 comes into play. 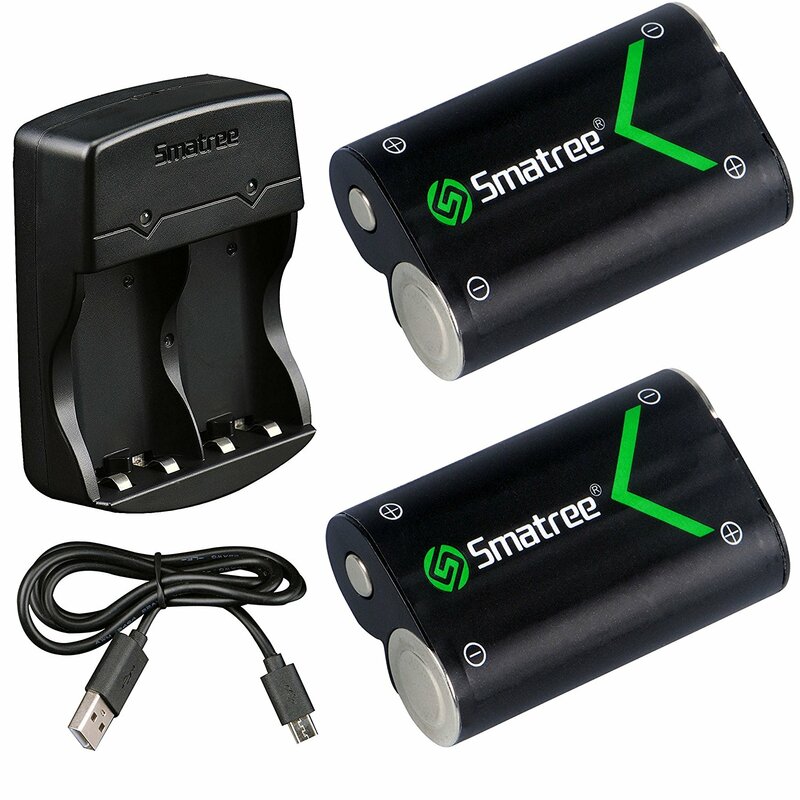 You get two batteries and a separate dual charger that plugs in via USB to the Xbox One. I get weeks of battery life with one battery and while gaming daily a few hours at a time. These batteries are phenomenal. They are inexpensive, great quality, the last a very long time and they come with a charger so i can play with one battery and charge the other one at the same time.